The Chicago area is home to more than 150,000 people of Croatian descent. In its heyday, the community grew so robust, it was known as the "second Croatian Capital." 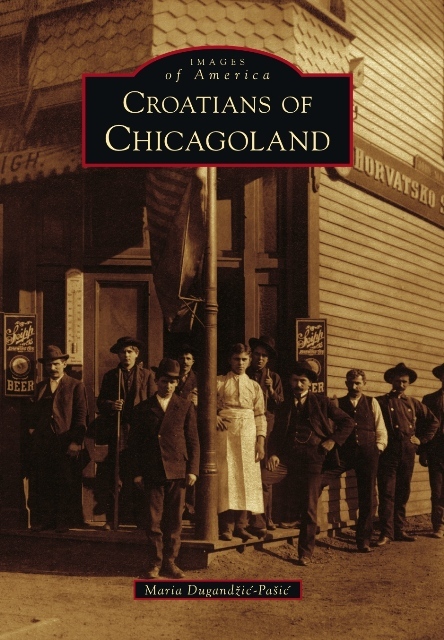 In her new book "Croatians of Chicagoland, " Maria Dugandzic-Pasic examines how this community and its leaders, clergy, laborers, politicians, athletes, benevolent societies and social organizations helped build and shape Chicago’s history. Dugandzic-Pasic uses personal stories to illustrate how the Croatians survived and assimilated into their American surroundings. She also catalogues how many have risen to the highest levels of power. She writes about the roots of Mayor Michael Bilandic and Alderman Edward Vrdolyak who pressed for political prominence at Chicago's City Hall. She traces political commentator Mary Matalin's journey from working in the steel mills to the White House where she served two presidents. Who knew the voice of Chicago, Bill Kurtis the ultimate anchorman, was really Bill Kuretich. The winner of Donald Trump's first “Apprentice” competition, Chicagoan Bill Rancic showed America the Croatian work ethic and entrepreneurial spirit. Ivan Mestrovic’s “Indian” sculptures still stand tall after 80 years on Congress Parkway. Pavao Kufrin’s art still adorns the Assyrian Room at Chicago’s Field Museum. Dugandzic-Pasic highlights how athletes George Mikan, Toni Kukoc, Chris Zorich, John Jurkovic and David Diehl prove Croatians “have game” too. The first documented Croatian immigrant groups came to Chicago in the late 1800's and settled on the city’s South Side and in neighborhoods like Pilsen and Bridgeport. The early immigrants toiled in the steel mills, meatpacking plants and construction sites to help build this great city of Chicago. They soon formed social groups, churches, schools, Croatian-language newspapers and other infrastructure needed to support the expanding community. Many of these institutions exist and thrive today. "Croatians of Chicagoland," explains how this small but influential immigrant group achieved its American Dream in Chicago while still holding on tight to its ethnic identity. The book will sell for $21.99, plus tax (shipping extra). Izvrstan naèin oèuvanja identiteta zajednice.